Obo Launches with $8.2 Million in Funding to Foster "Succeed Faster"
Obo, the world’s first product decision system, emerged from stealth with $8.2 million in funding led by Wildcat Venture Partners and TDF Ventures, bringing to life its vision to enable technology companies to embrace a new Put Your Best Product Forward approach and replace the “fail forward fast” paradigm. John Maxwell famously said “Fail early, fail often, but always fail forward” – Silicon Valley and beyond obeyed. Despite several decades of boundless iteration and pivoting in tech circles, product failure is a $600 billion a year problem, affecting company valuations, investors and employees. It also frequently leaves customers stranded when a product disappears, or dissatisfied when they don’t get the features they need most. But what if you could build the right product and features the first time? 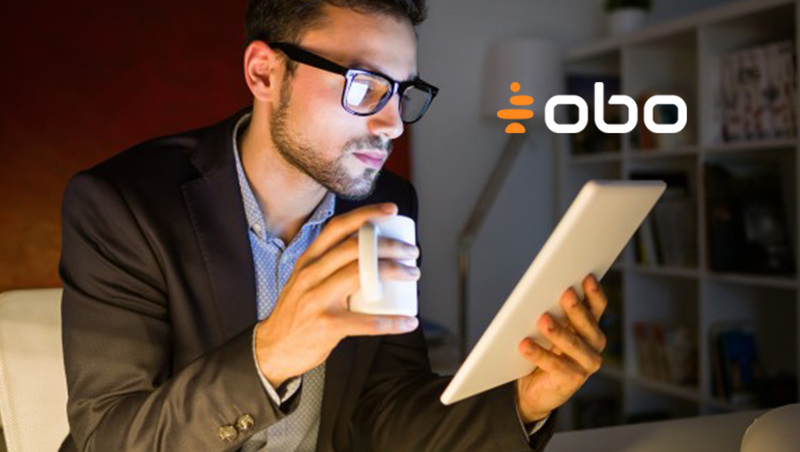 Obo is designed to empower technology product organizations to make better decisions and consistently put their best product forward by aligning the product process with core business objectives and using concrete data from the market, customers, and internal stakeholders to inform the product decision-making process at every step. Instead of building elaborate roadmaps in silos for what may or may not be the right features, teams across an enterprise—from the C-suite to product managers to engineers to customer success teams—can use Obo to collaborate on product plans. With the Obo SaaS platform, customers can create a better product plan in just 60 minutes, eliminating wasted time and resources. Obo’s capabilities and features are detailed in a separate announcement. Led by veteran entrepreneur and CEO Pete Sinclair, the Obo team has over 100 years of combined product success, building products and leading product teams at Oracle, Salesforce.com, Adobe, SAP, IBM, Apple, and Yahoo!, among others. With that experience comes a vast understanding of what causes a product to succeed or fail. Building the wrong product or feature due to insufficient market validation, inefficient processes, and inadequate stakeholder input are all at the top of that list. In fact, according to Obo’s State of the Product Journey survey released today, respondents across job functions—from executive to product manager to engineer to sales—believe that their organization’s current approach to product planning is OK – not great, but good enough, verifying the urgent need for a paradigm shift in how product decisions are made. Digital transformation currently impacts almost every part of the business and is changing the way organizations work, from the C-suite to the engineers to the HR department. The problem is that product creation – the heart of a company – has not caught up with the rest of the organization. In many cases, product managers still rely on myriad tools such as spreadsheets and slide decks to develop product plans; but those tools don’t connect the dots (or to each other). Successful product planning requires market insight and expertise, as well as hundreds of hours of work analyzing data, conducting interviews, completing additional competitive and market research, documenting requirements for features, and building out a plan. Product managers often struggle to prioritize what goes into product plans. In fast-paced business environments, it’s challenging to collaborate and communicate with business leaders to make decisions that support strategy. Obo ensures that business objectives and product decisions go hand-in-hand. By easily aligning product decisions with corporate objectives and backing them with concrete data from stakeholders and the market, product teams reduce risk when developing new products or product features and can clearly articulate the “why” behind product decisions.